1. Do you believe that setting goals actually serves a purpose? Goal setting is important. When you’re playing hockey, what is the objective? To get a goal. Take the nets out ofthe game and how much fun would it be? All you would have is people skating around in circles. What is the objective in basketball? To put the ball in the hoop — take out the hoops and you have no game. If you don’t set goals your life turns into a game with no direction. If you have ever played a sport, remember how great you felt after you scored; that is how you feel after you reach a goal. People tell me all the time that life is boring, but I say set goals and take action; that’s when life gets fun. 2. Since life is unpredictable and constantly changing, do you think that goals should also change? The only thing you can’t change is change. Life will always throw you curve balls; the key is to make adjustments on your journey. If you are flying from Toronto to Vancouver, you may hit turbulence, but the pilot doesn’t quit and head back to Toronto — he readjusts his flight plan and continues on. It is rare to see someone set a goal and have a smooth ride achieving it; there are always bumps in the road. I believe they are just tests to see how much you really want it. 3. How many goals should someone have? How many is too many? There are four areas in your life where you should set goals: career, money, health and family. I think you should have one goal in each area; if you have too many goals you may become overwhelmed and not act on any of them. 4. 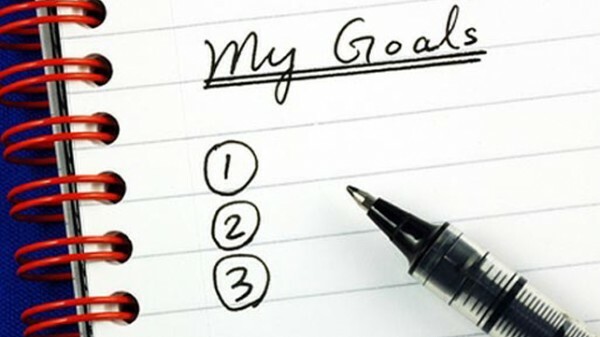 It’s easy to set goals, but how do you follow through to achieve them? 5. Do you think that most people achieve their goals? There was a study done at Harvard University: 5 percent of people set goals and take action, 5 per cent set low goals, 15 percent set goals and don’t take action, and 75 percent of people never set goals. Most people never hit their goals because they never set them.